A midfielder for the National Women's Soccer League team the Washington Spirit, she also played for the United States' women's national soccer team, as well as for the New Jersey Lady Stallions; the Sky Blue FC; the Western New York Flash; FC Kansas City; Sweden's Kopparbergs-Goteborg FC; and Russia's WFC Rossiyanka. A club soccer player during her teenage years, she won USYSA, NSCAA, and Parade All-American honors. 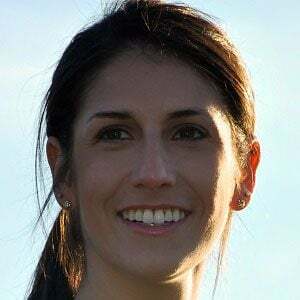 She went on to play soccer for the University of North Carolina at Chapel Hill, leading the Tar Heels to NCAA College Cup titles in both 2006 and 2008. She wrote for Our Game Magazine and secured a sports blogging position with the New York Times. The child of Paul Friedman and Gloria Averbuch, she grew up in New York City and Upper Clair, New Jersey as a member of a Jewish family. Her sister, Shira, played collegiate soccer for Stanford University. She and fellow Team U.S.A. soccer player Meghan Klingenberg were also teammates at the University of North Carolina.